Hennessey Performance has improved the engine power of the most powerful modern muscle cars, like the Corvette Z06, the new ZL1 Camaro and of course the Hellcat Challenger. 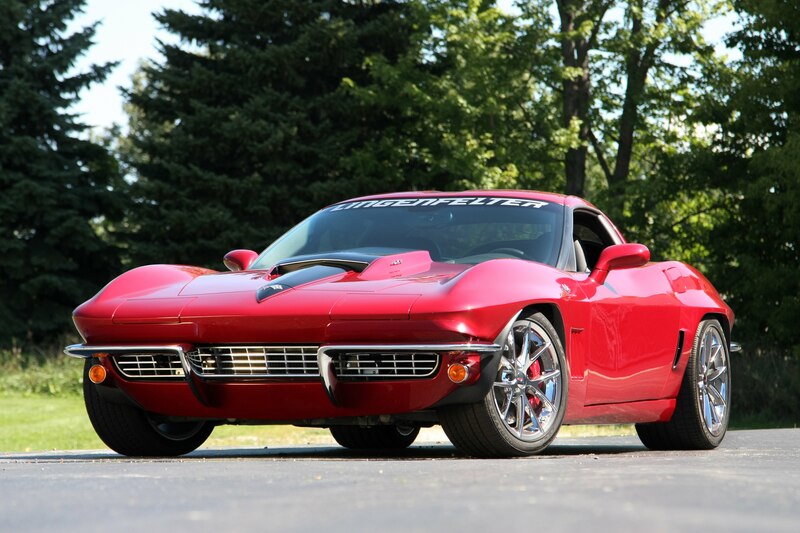 And they are providing a simple race between these muscle cars as an example, which car is faster. 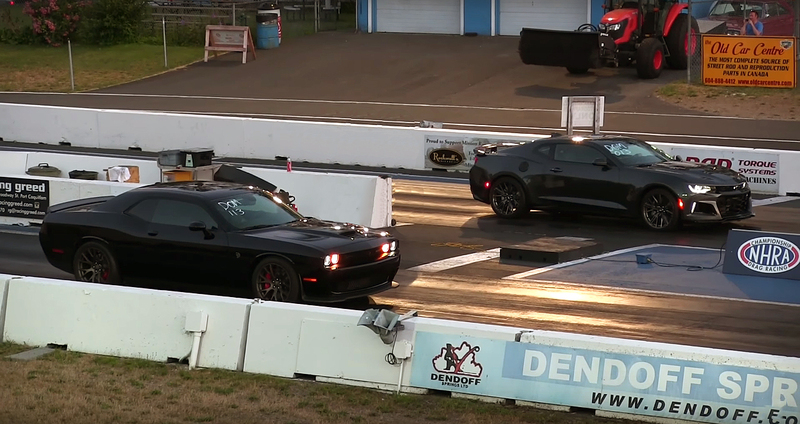 Before this race, we have seen the race between the stock ZL1 Camaro against the stock Hellcat Challenger where apparently the Challenger was faster because it has 57 horsepower more than the Camaro. 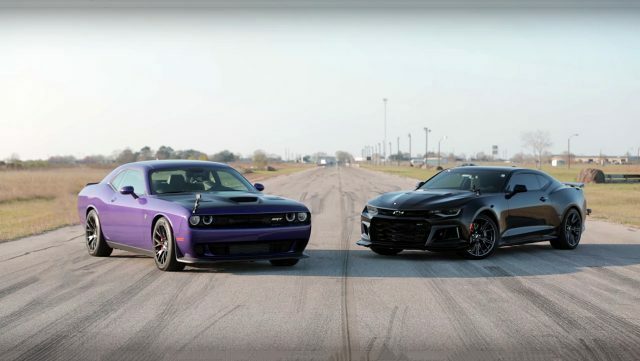 Now we have another race between the stock Challenger powered by a Supercharged Chrysler’s 6.2 liter or 370 cubic-inch SRT HEMI Hellcat small-block V8 engine, rated at 707 horsepower and 650 lb.-ft. of torque. 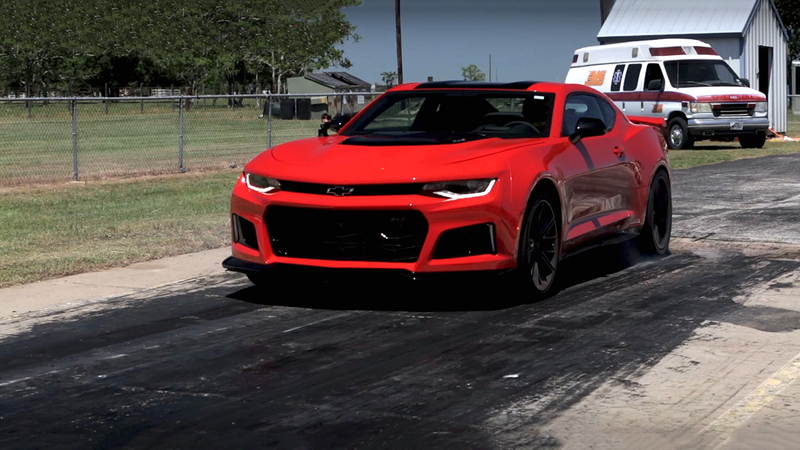 Against the new ZL1 Camaro with a Supercharged General Motors 376 cubic-inch, 6.2 liter LT4 small-block V8 engine. But with the Hennessey HPE750 Upgrade this Camaro produces 661 horsepower and 695 lb. -ft. of torque at the rear wheels.